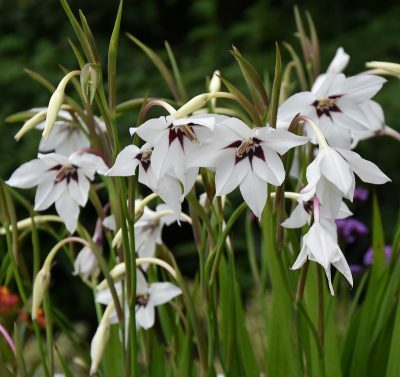 Flower bulbs suitable for naturalizing have just a little more to offer than the ones for multiple-year flowering. 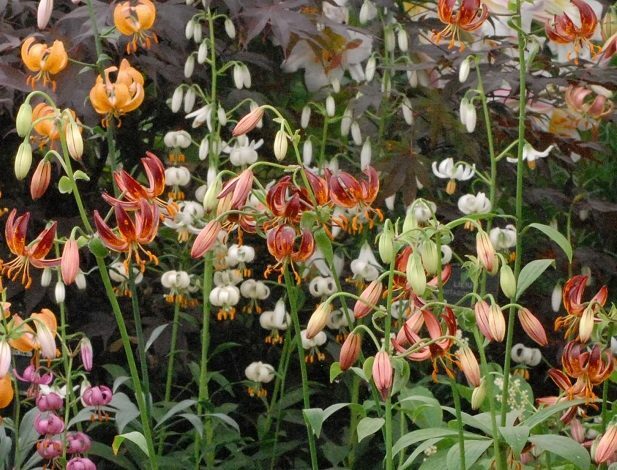 Like them, bulbs for naturalizing also remain undisturbed after flowering and will come back again every year, but their added benefit is that their numbers will continue to increase as long as they have been planted under ideal conditions (light and air). 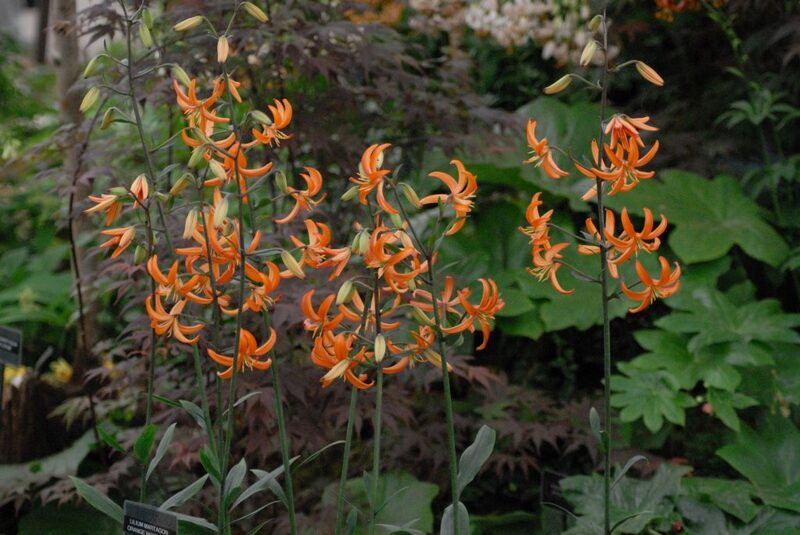 Naturalized flower bulbs can function as independent plantings – Lilies, Nerines, Iris and Gladioli are great examples of varieties that will naturalise well in the garden. They can also be included in existing plantings such as in planting beds with ground cover plants beneath trees and shrubs. In these more natural-looking situations, glaring colours would be out of place; better here would be the more muted tones of pastel yellows, light blues and white. 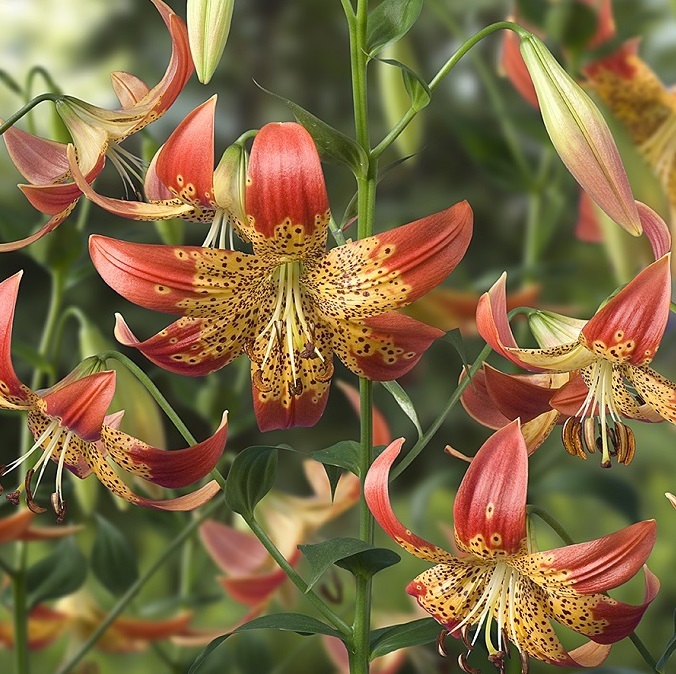 Martagon lilies, Dicentra, crocosmia and Arisaema are examples of flower bulbs that will naturalize and look just right here.